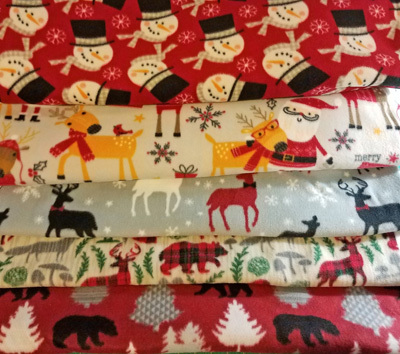 Want to add a little extra to your order to help the chinchillas? 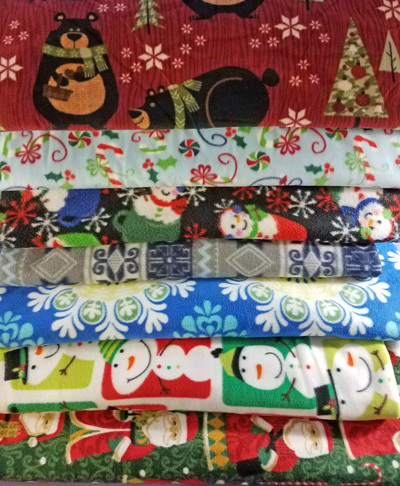 Include a DONATION to your cart! Add $5, $10, $25 or more by clicking on an amount. You can also increase the amount by changing the quantity at checkout. Thank you! These are all natural non-bleached Loofah. They are hand sliced, so the thickness may vary slightly, as well as the diameter. They are about 1" thick. See quarter in photo for size. You get 3 slices per order. In honor of my Fourteen Year Anniversary for the rescue, I offer a metal pail filled with goodies! 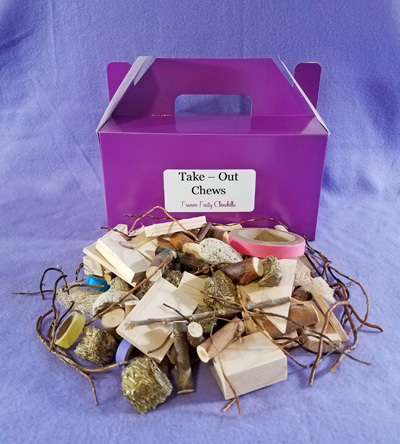 Each pail contains Timothy hay, a handmade Minnie Chinnie (ChinChic), unpeeled willow wreath, 2oz whole organic rosehips, bundle of mixed chew sticks and a large natural pumice stone. The pail is for you as a decorative place to keep future chew sticks or toys (the pail itself is not safe for chins). A nice basket to give as a gift or for your own chin children. 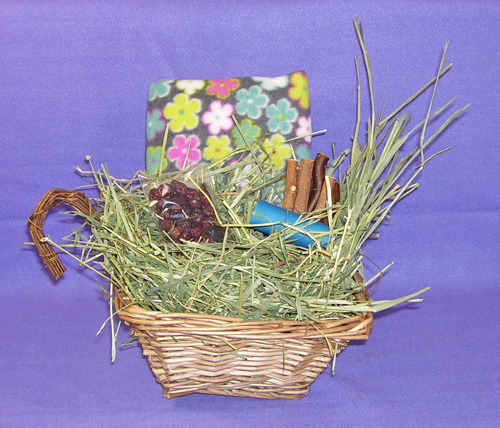 This peeled willow basket contains a fleece hammock (rings to hang are included), a willow candy cane, whole organic rosehips, a bundle of mixed chew sticks and timothy hay. 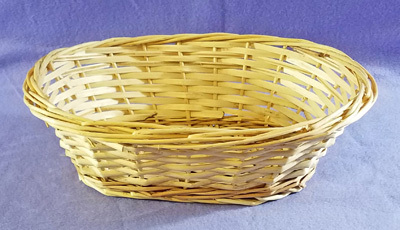 You can keep the basket for yourself to store future chew toys or give to your chinchilla as a chew toy. Choose from any of the hammock pattens below. 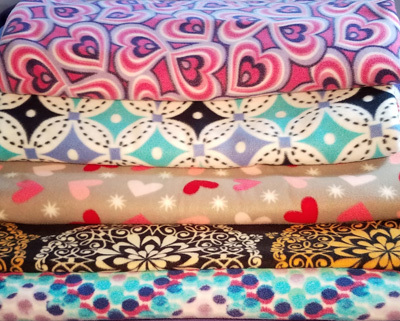 PLEASE MAKE A NOTE ON YOUR PAYPAL ORDER OR EMAIL ME WHICH FABRIC YOU WOULD LIKE. 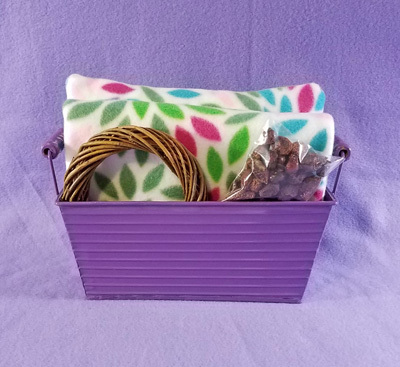 This metal tray with handles has a hammock, matching pillow, large willow wreath and 2oz of whole organic Rosehips. Choose from any of the hammock pattens below. 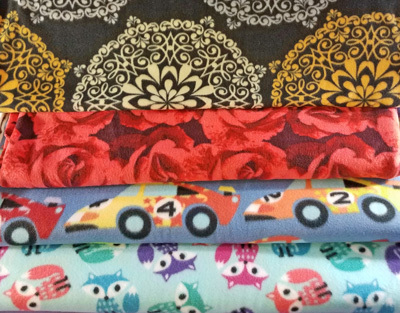 PLEASE MAKE A NOTE ON YOUR PAYPAL ORDER OR EMAIL ME WHICH FABRIC YOU WOULD LIKE. Colorful fleece hammocks for your fur children. Hammocks average 16 1/2" x 16 1/2" and come with rings to hang it. 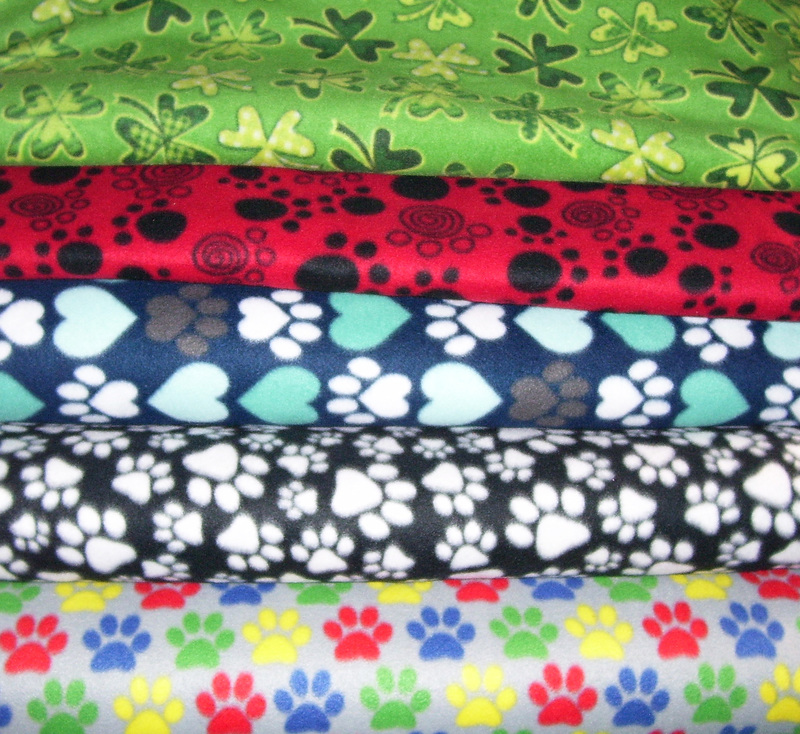 Choose from: Shamrocks ~ Red Paws ~ Paws & Hearts ~ Paw Prints ~ Multi Paws. Colorful fleece hammocks for your fur children. Hammocks average 16 1/2" x 16 1/2" and come with rings to hang it. 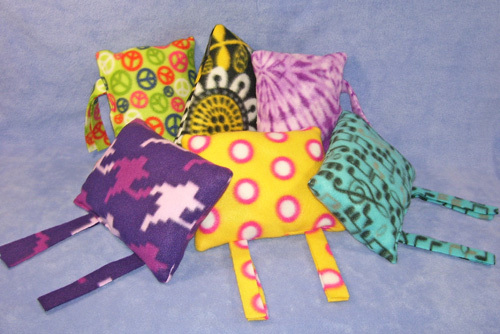 These pillows are made from all the fabrics left over from hammocks and other projects. 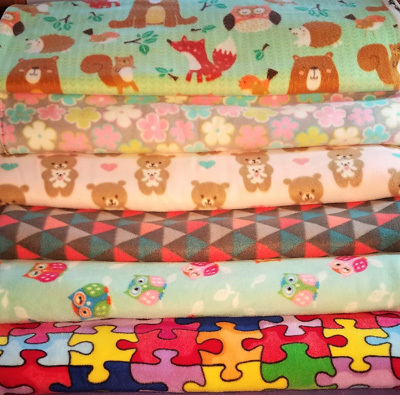 There is a large variety of fabrics and the pillows are stuffed with fleece and have ties so you can attach them to the cage. 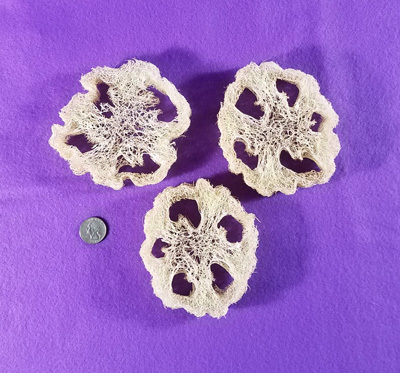 They are approximately 6 1/2 x 9". 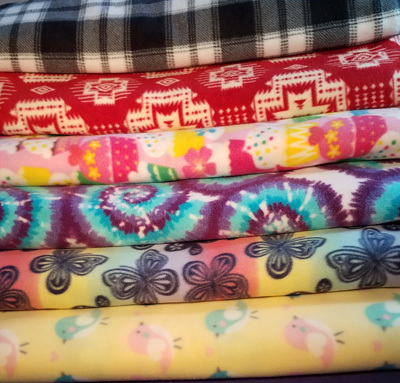 Since there are so many fabrics, some one of a kind, it is a Grab Bag meaning you get what I have available (photo is just a sample of fabrics). They are machine wash and dry. I am very pleased to offer ChinnieBuddie™ which is an original design made by ChinChic. 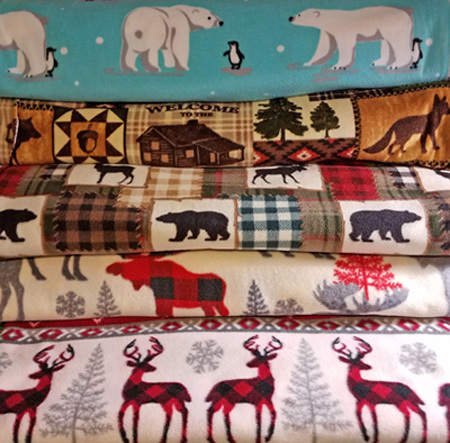 These are handmade with chinchilla safe fleece fabric inside and out. 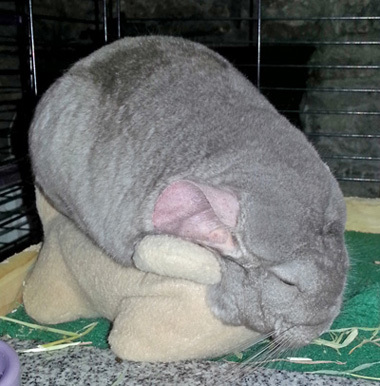 They are wonderful for a single chin to have a buddy to snuggle with. 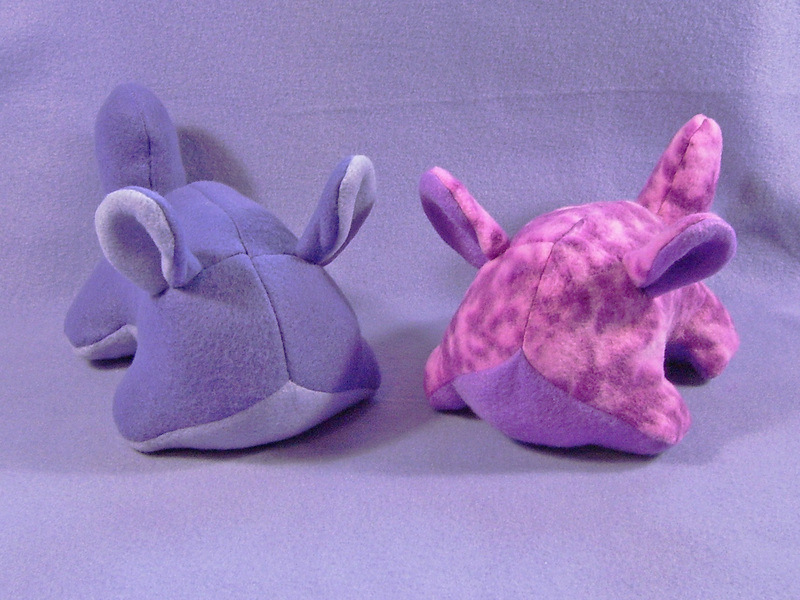 They are soft yet sturdy to resemble a real chinchilla friend. They also make a wonderful snuggle friend for other small critters. Each buddie from nose to tail measures about 9" x 5"w and is available in 6 colors: light gray, dark gray, dark brown, tan, mosaic, ebony. 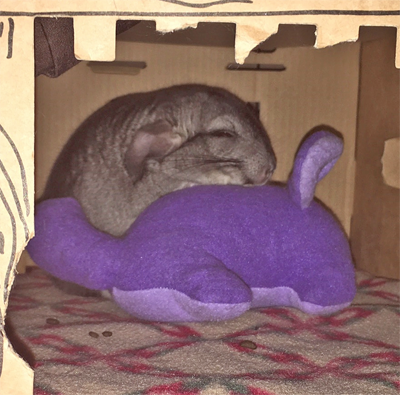 Chinnie Buddie Purple - Scout and Snuggles are some of our Happy Customers! Exclusive colors just for our rescue! 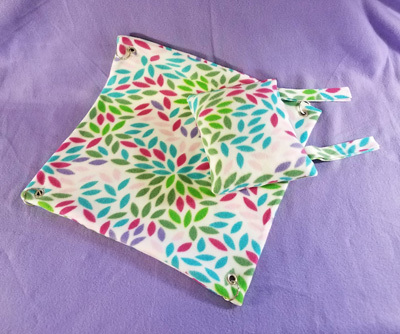 Available in solid purples or purple pattern fleece. An adorable smaller version of a ChinnieBuddie. You can see in the photo the comparison of the two sizes. Available in dark gray/white, brown/tan, tan/white & dark gray/light gray. 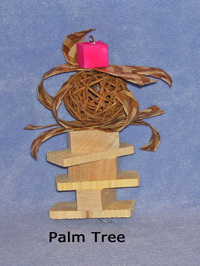 This basket can be used to put your chins toy or use it as a toy itself, it is completely edible. 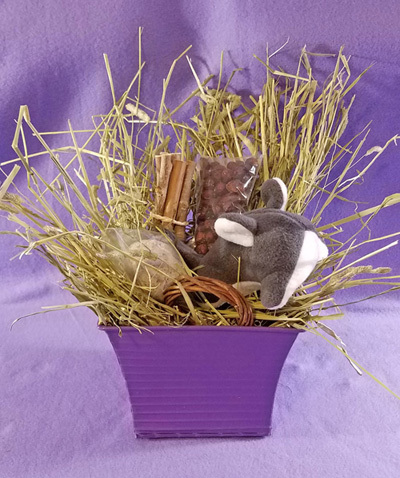 This original Forever Feisty creation is a grass pouch which is stuffed with Oxbow timothy hay and organic herbs of dandelion, peppermint, chamomile, flax seeds, oat tops & rosehips. 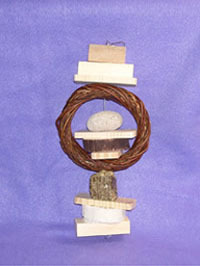 It is all tied together with seagrass rope, a pumice stone and topped off with a loofah slice. The entire pouch is completely edible! I make them fresh when you order and your chin will love it! 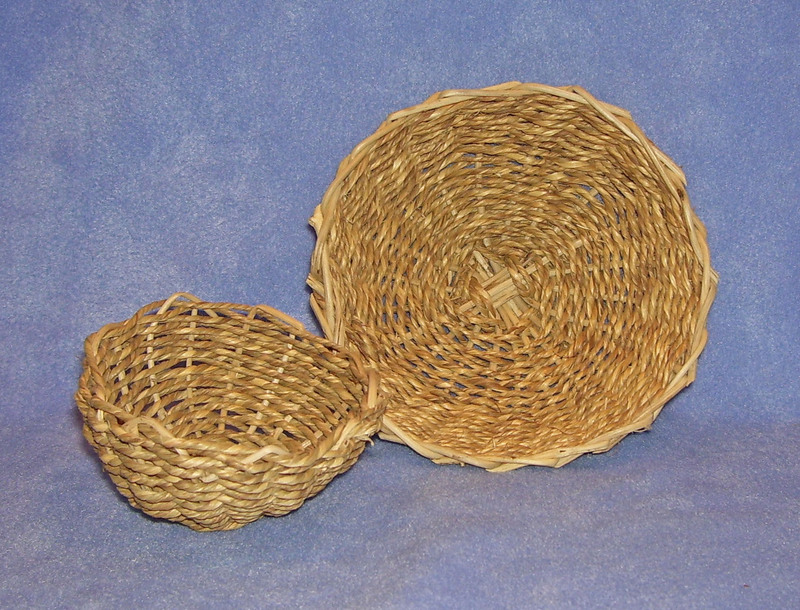 It measures 7 1/2"w x 11 1/2"L.
These sea grass & vine baskets are completely edible. Your chin will love them! Made by Oxbow this carrot is made of timothy hay and is completely eatable. It is all natural, no chemicals, no wires, no thread. Made by Oxbow these twist are made of timothy hay and is completely edible. They are all natural, no chemicals, no wired, no thread. 6 twists per pack. A fun place for your chin to sit. 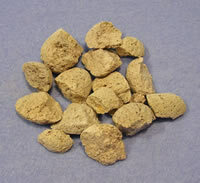 Since it is made of pumice, it is also great as a chew toy to help keep your chin's teeth worn down to a healthy length. Available in yellow, pink, blue, and purple. Please Note: If your color choice is not available, I will send you what I have in stock. 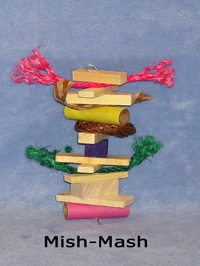 All of our toys are handmade by us using chinchilla safe, all natural products. This box is filled with 14oz of of all shapes and sizes of scraps of chew toys. 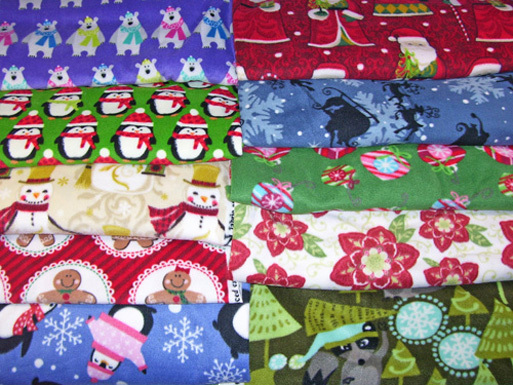 All are chinchilla safe and your chin will LOVE all the choices and fun shapes! 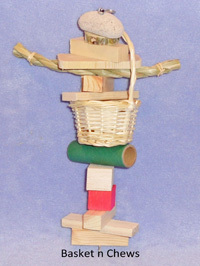 Every box can vary slightly, but it has a variety of natural woods, pumice pieces, loofah, etc. A layer of Oxbow hay mix of Timothy and Orchard grass line the bottom of the box. 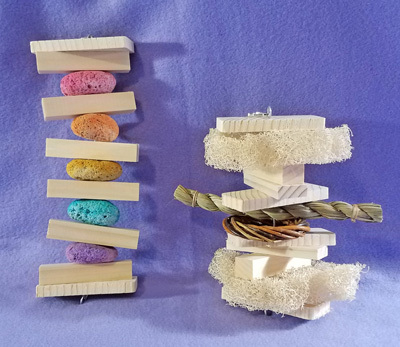 All of our toys are handmade by us using chinchilla safe, all natural products. 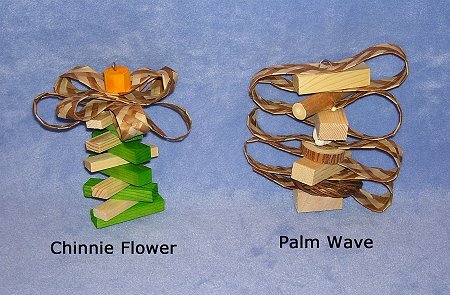 We utilize kiln dried pine, willow, balsa, mulberry, palm, ocotillo, timothy hay. 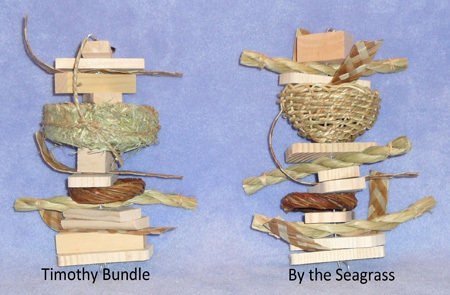 sisal (non-oiled), loofah (unbleached) sea grass products and natural pumice. All coloring is food grade. Toys range from 6 1/2" - 10" long. Toy comes with clip hook for hanging. 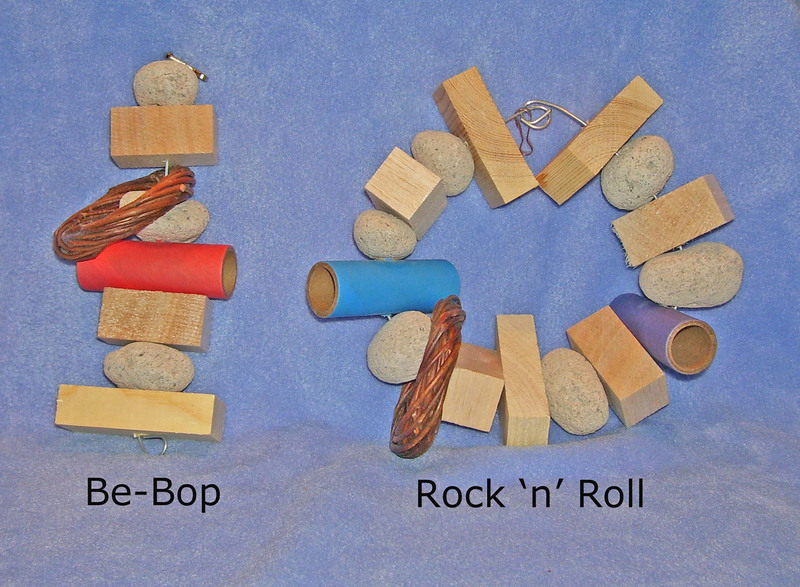 These stones are more porous and harder than many pumice and great for gnawing. They come from nature just as you see them and because of this they vary in size and shape. 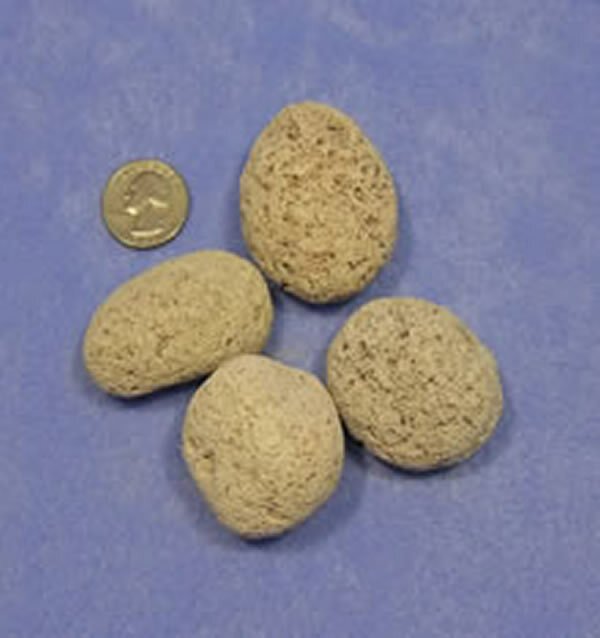 My chins love it when I break the pumice into pieces as shown in photo below. They carry it around and love the edges! 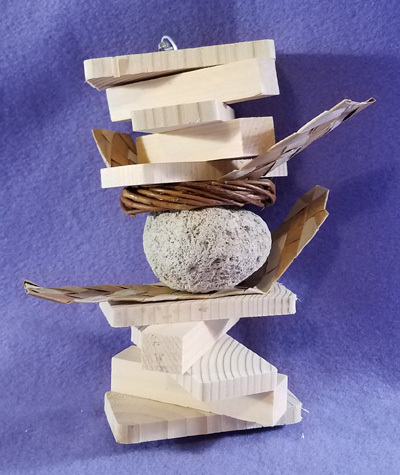 If you want your order in pieces rather than whole, please tell me in the comment section during your checkout, otherwise they are sold whole (sizes vary). 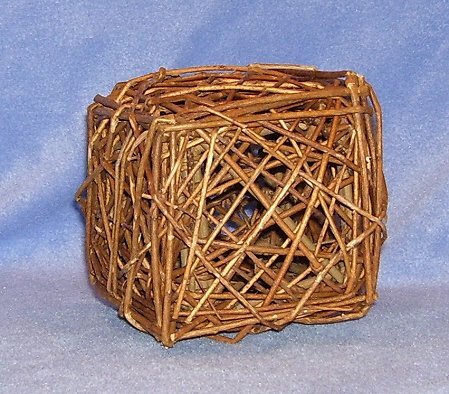 This is an unpeeled Willow cube that is 5" x 5" x 5"